inscription: Bottom right corner has "Gonna Rise Again Graphics" printed in brown. Poster has a tan border around a center drawing. The drawing has a light blue and green background with images of men, women, and children in a group. The upper left reads, "Que viva Puerto Rico libre! 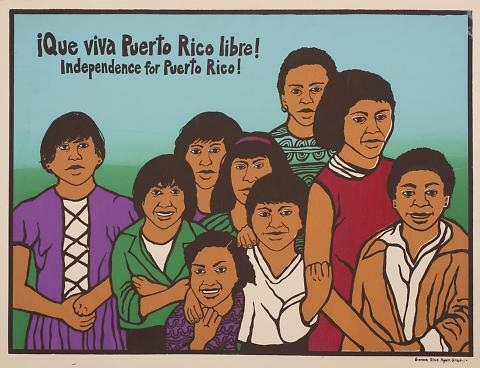 Independence for Puerto Rico!" in brown.